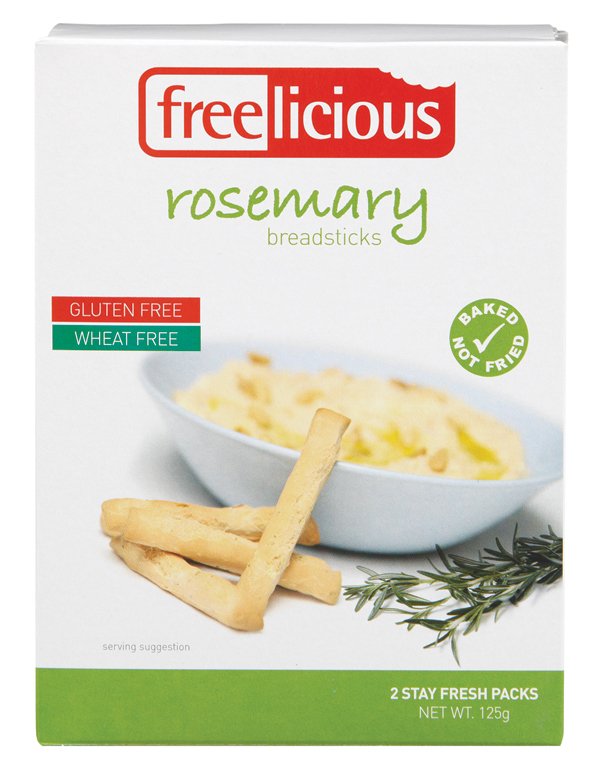 I also had the chance to sample some of the Freelicious range of crackers recently including the Italian Herb, Original as well as the Crostini and Rosemary breadsticks. The breadsticks were good addition to a dip and vegie stick platter though I found them a little hard. The crackers as well were good with dips but a little dry if eaten alone or with hard cheese. The Crostini would be good with cream cheese and toppings as a starter or finger food at a party. Probably my favourite in the Freelicious range is the Corn Couscous. I love couscous but of course it is made from wheat. I have tried making a salad with quinoa instead however I am not a fan of the bitter after taste. Last night for dinner had some steamed Tasmania salmon fillets with lime juice and cracked pepper and served with the Corn Couscous salad. I followed the recipe on the back of the packet and topped it with some delicious goat’s cheese, cherry tomatoes and avocado. Check out the Freelicious website here.